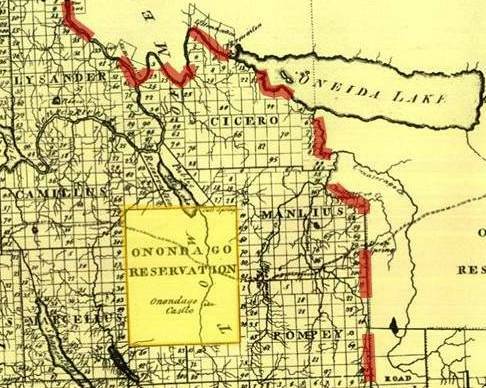 The Town of Onondago is located southwest of what is today to center of Syracuse, in the region known as Onondago Reservation on the above map. Salina or “Salt Springs” on this map is located at the south end of Onondago Lake, extending from the north end of Onondago Reservation across “Public Reservation” territory. To better understand the behavior of the illnesses known as bilious, remittent, intermittent, and malignant fevers, David Hosack send out a series of queries to individuals in western New York. Four of the regions that replied had their responses or descriptions published together in the Philadelphia Medical and Physical Journal. These respondents were representatives for the following regions: the Watkins & Flint (the future place of the famous Watkins Glen) Purchase, Onondago (this page), the village of Rome and the neighboring Oneida lake area, and the entire Military Lands in general. One of the most prominent medical officials to reply was Dr. William Currie, who represented the Onondaga area. The representative for the Watkins & Flint area was Esquire John Watkins, a close friend and member of the Livingston family. Currie’s reply for Hosack was remarkably brief and to the point when compared with the other responses to this query. 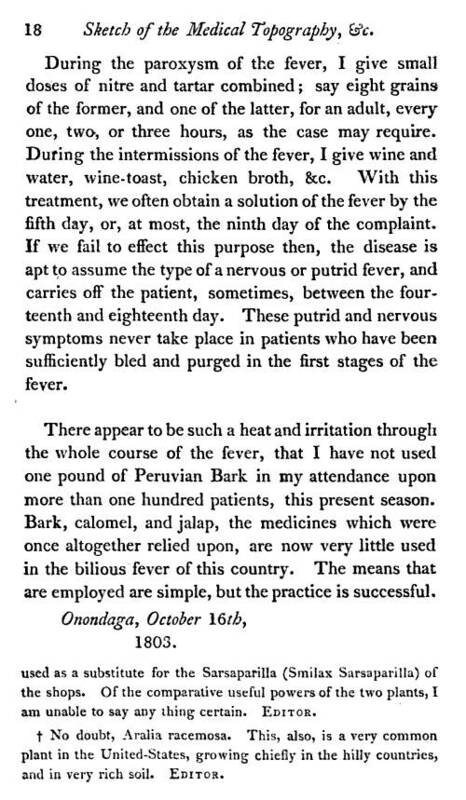 Watkins’ response was fairly extensive and included the naming of a new fever type–Lake Fever–an illness type with a name that remained popular over the next decade (and is covered on another page). The following is Currie’s brief response to Hosack. 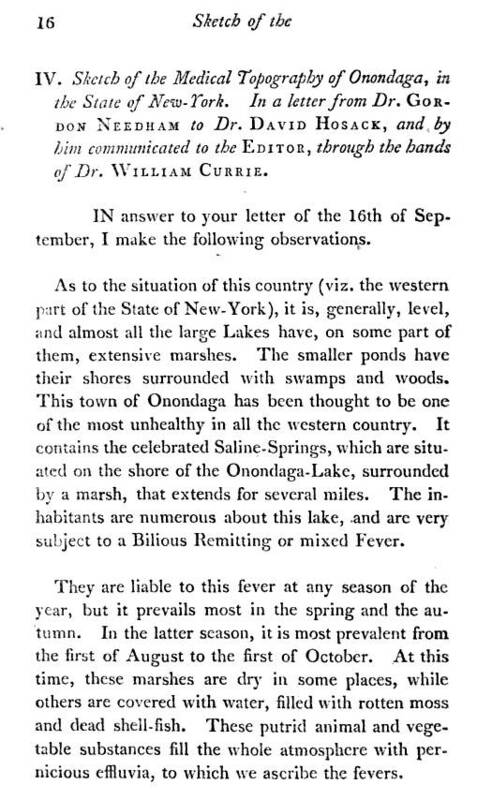 Currie’s writing details a little of the geography of the fevers in his setting, but includes some important insights into how the local plant medicines were being tested and sometimes incorporated into the treatment of certain diseases. Whereas a decade earlier, imported medicines were very popular and the knowledge of local medicines had yet to reach the level of understanding needed for these herbs to become fully incorporated into regular medical treatments. These plants were already very popular to local herbalists, “Indian doctors”, domestic healers, midwives, and other healers typically not trained in medicine as it was practices by medical doctors. These few notes on the local herbal medicines of the Onondaga area depict examples of some of the early experimental medical research being engaged in by a profession mostly devoted to empiricism and theory. Local medicine learned and practiced locally by local physicians had become the best way to be a physician during the yellow fever years in American history. The countries in Western Europe, due to their distance from the West Indies were impacted much less than the American sea-ports receiving ships ridden in this very deadly epidemic disease. Only American physicians could understand and prevent yellow fever epidemics from recurring, which they accomplished in New York and Philadelphia by implementing the first quarantine laws for this country. Over the next few years, yellow fever would bypass these secured ports and infect the interior of North America, only this time by way of distant rivers and sea-ports, not by way of the waterways leading to the eastern shores of the United States. Local plants were now being used, and favored over the imported remedies, to treat local disease patterns. Part of the reason for this has to relate to t he higher cost for import medicines, especially those of great fame or with very reknowned inventors. But the other problem with these medicines had to relate to their shipping and risk of loss, damage or contamination. Many remedies were bottled. Those that were not bottled were still packaged in such a way that they could manage the long oversea travels to America, but to continue to remain marketable during the trips inland, through both hot and cold climatic settings riddled with threats from tornadoes, storms and hurricanes, reduced any desire to ship these products to the interior country that the few entrepreneurs with the right size yachts or schooners were willing to risk. But aside from cost, the public was in the process of developing a new philosophy on the use of our own medicines. The Monroe Doctrine was still years away, but the desire to reduce our dependence on imported products was already present in the local economy and industrial work settings. Ships bearing our own natural products were now being prevented from being docked in English ports and harbors. Between 1806 and 1807, this resulted in the capture of some ships, on both sides of this political argument, and ultimately resulted in the assassination of the United States ambassador in charge of this commerce during the early 1800s, residing in England at the time. This event would ultimately lead to the War of 1812 and the risk of British Invasion by way of the interior lands. For this reason, the western edge of the United States and each of its individual states and territories had to be secured. 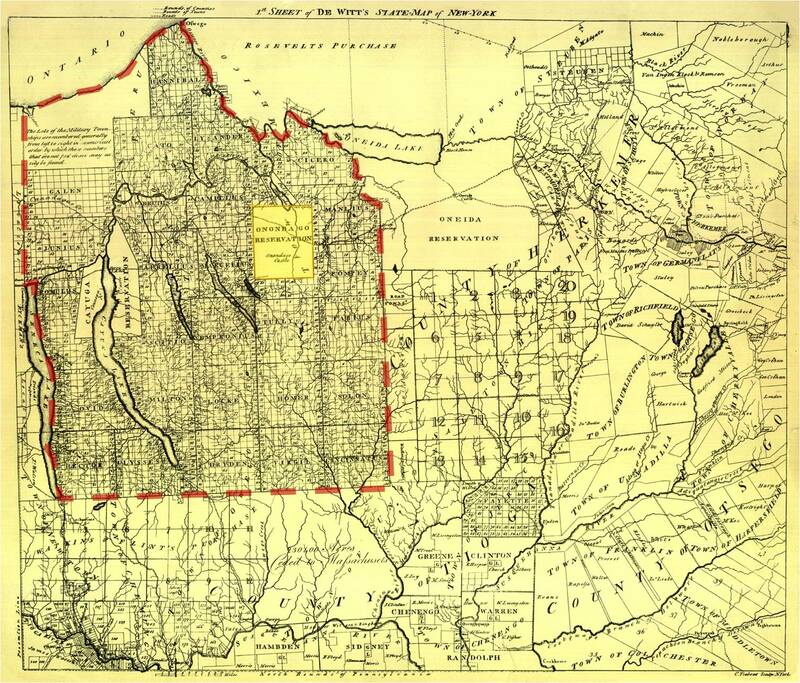 Western New York had to be claimed, occupied, turned into a possession of the eastern part of a region called New York. Saratoga and Herkimer counties were defined, soonafter came Sullivan and Tioga Counties of the immediate region west and northwest of the original counties of New York. The Livingstons had done much to improve upon our understanding, use and industrialization of our natural resource and our domestic farm and livestock goods. This enabled the Watkins family to begin the task of securing far western lands not yet claimed as parts of the Western Military Tract of New York. But numerous arguments were being made for and against the inhabitability of these regions, and the general impressions were that these regions were often very susceptible to disease, especially the different fevers. Once fevers became the next black plague of medical history (the common name for yellow name), it was time to reassess the live-ability of lands in the interior, unsettled regions where population-based epidemics could rarely take place due to the lack of their required city setting. As a part of this philosophy about the remaining lands of New York, this new form of herbalism came into being, along with the first studies of chemicals and toxins as medicines, and the first heavy use of mineral drugs. The medicines employed for the Lewis and Clark Expedition were probably also staples for the earliest western New York travels and settlement plans. These plans were implemented soon aftetr the Revolutionary War had ended. Pre- and early wartime philosophies and remedies were still being practiced, but they were rapidly being replaced by the new philosophies born out of the first American medical journals. For this reason, Thacher’s solidism became a rarity in many official medical books by 1800. Individuals who brought this knowledge westward with them into western New York probably retained some of this faith even once the end of the century was reached and the study of medical climatology came into full swing. But throughout all of these intellectual changes in the field of medicine, there were still some old-fashioned forms of medical practice that continued to be used in western New York. The blending of new medicine and old medicine took place in New York, supported by individual like Currie and other representatives responding to Hosack’s query into the health and health-related practices of this region. An important aspect of the new medicine being practiced in New York, especially its rural settings, pertained to place and disease. During the late 1790s and early 1800s, the philosophy underlying herbalism often focused on place and disease, and the role of place in defining the remedies for a given disease or the means to prevent that disease. One common part of this natural philosophy for the time was that “God placed certain herbs where He felt they might be needed.” According to early American botanist from North Carolina, one couldn’t be a botanist and believe in the philosophy of atheism at the same time. For some people, “herbs “speak to us” and their potential values and uses are more than just “hieroglyphics”, as a 17th century American religious writer and naturalist put it. These plants that are medicinal were put here for our use. For proof, all they had to do is provide us with some highly credible examples. For example, for this reason Eupatorium perforatum or Boneset is used to treat the breakborn fever endemic to certain marsh areas, and Jo Pi (Joe Pye) weed (Eupatorium perfoliatum) is an Indian Remedy that grows in marshes and is a miracle cure for the yellow fever produce by march miasma. By 1800, physicians apply this place=cure philosophy to the theory of disease zones and latitude domains. Disease zone and latitudes not only defined where illnesses prevailed, but also where their cures could be found. By the 1840s, this led to the production of the first global disease maps, such as the map presented elsewhere by Adolph Muhry. By 1860, this philosophy was perfected and elegant maps were produced such as those by Alexander Johnston and others. The above map demonstrates the rough link that exists not only in climatic regions, such as torrid (tropical), temperate and frigid (arctic) zones, a philosophy popular since Greek writings, but also between vegetation type and latitude regions. 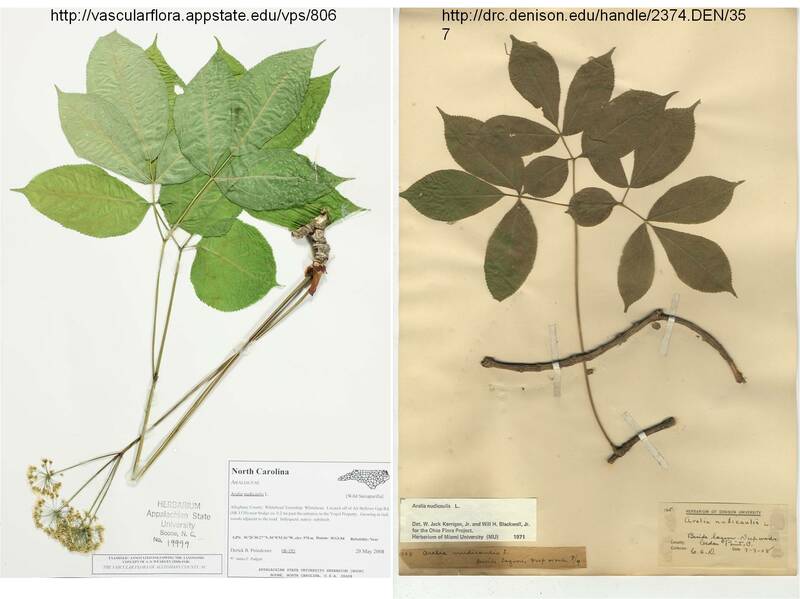 Not only were the the tropics barely habitable, they also bore plants that produced ample amounts of food, and certain medicines specific to tropical settings like the cinchona bark useful in treating the ague (malaria). Likewise, the temperate zone bore plants that were meant to treat specific illnesses common to the temperate regions, or so some of the early settlers philosophised. Applying this to the endemic-epidemic theory for the time, endemic disease patterns were a part of the area’s natural history. This was in opposition with the natural history of epidemic diseases, which tended to be spread as “contagion”, from person to person, upon the populations (epi + demos). 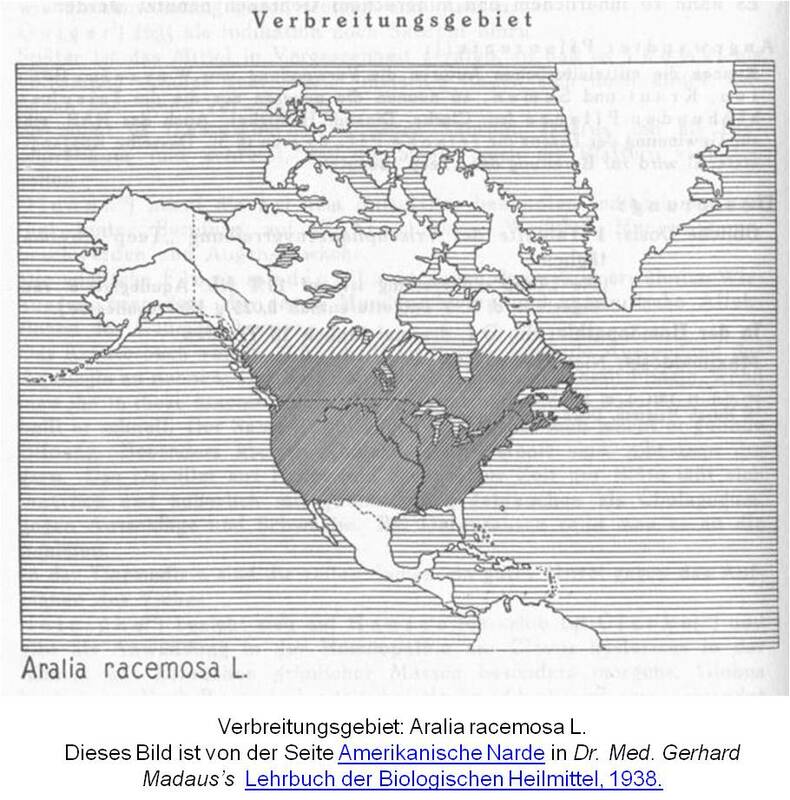 Whereas epidemics were usually linked to people and their contagion, endemic diseases were brought about by the local climate and weather, and certain topographic changes induced by settlers in the region. The flow of a given endemic disease to new people and populations was felt to be a a result of how this diffusion to new regions too place, such as in the form of ballast of ships, the decaying fomes of people, the putrescent effluvia eminating from decaying swamps. This cause for illness was airborne, temperate-sensitive, and could be led and redirected by local wind patterns and topography. When born by people, it could be spread demographically depending upon how the people traveled and migrated. Hosack sent out the letter to determine if there was any evidence out there for the disease diffusion process that could be linked to shipping routes into the interior of the country. To many geographers, even those in New York, the yellow fever was not much in a disease of the interior. 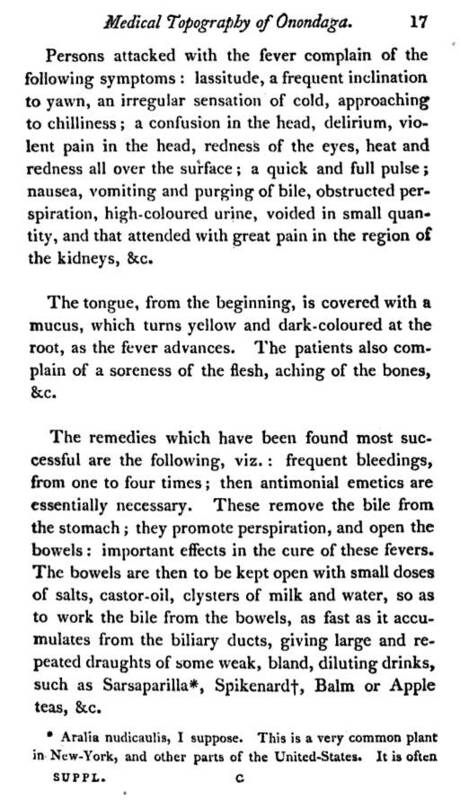 As a result, for these versions of the fever we see either traditional names assigned, or topographic names assigned such as marsh fever (any of several, spotted fever like or not), hill fever (this was in fact used mostly for a Bengal fever in India) and mountain fever (Rocky Mountain Spotted Fever acquired this name by 1840/2). In New York history, Watkins’ “Lake Fever” story best fits this paradigm (and was pretty much ridiculed out of existence due to such by Valentin and Volkey). To best understand disease in the American climate setting, one had to learn medicine locally, not by the book and/or by the hospital as part of a medical education received in Europe. Samuel Mitchell makes such a criticism during the early peak years in the yellow fever epidemic history, ca. 1805-1810. Mitchell’s claims and others making the same political statement were ridiculed, mocked and denied officially by European writers, who were instead trying to define the cause for yellow fever, laying its blame on the filth and cultural deviations experienced by the young, budding country known as the United States. 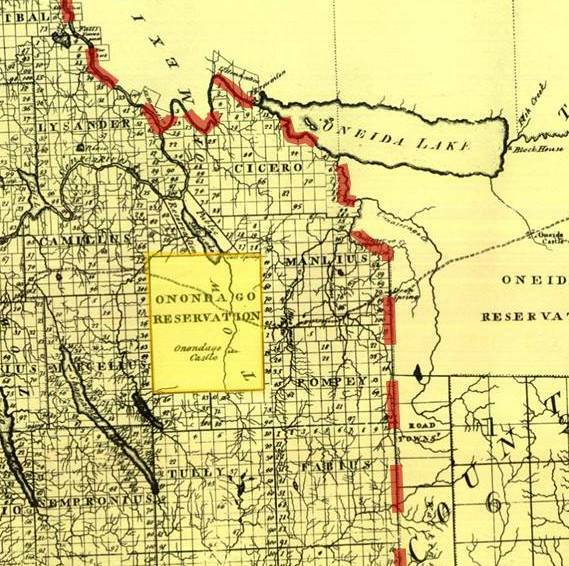 During this time, communes were being established in western New York, westward into Ohio and Illinois. 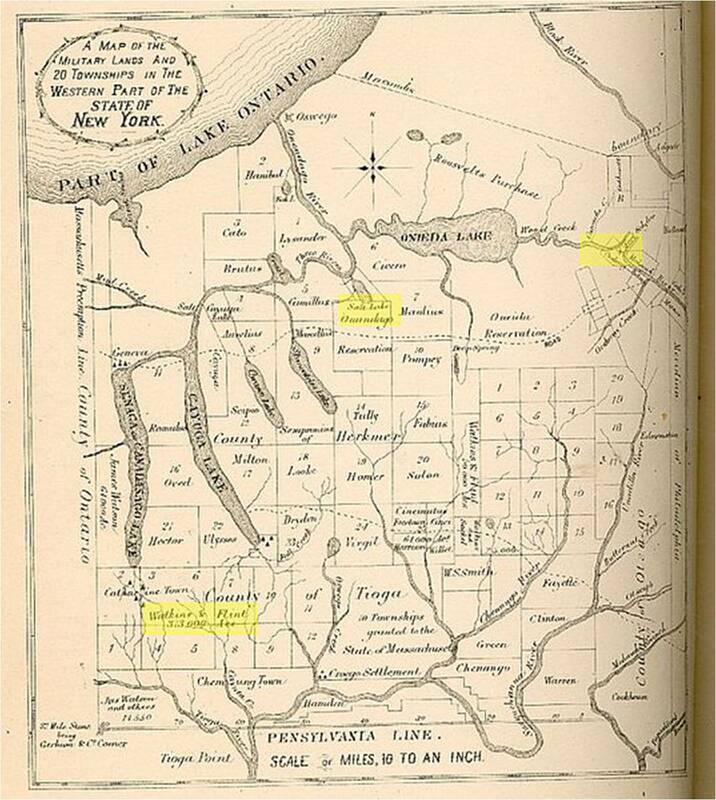 A number of new colonies were forming in the western parts of New York (see 1803 Travels Journal noted for for more on this). Even Massachusetts laid claim to a part of New York’s western soils and established 3 colonies there. Latitude and longitude had everything to do with health during this early period in American medical history. This also related to the locations of plants for treating the endemic diseases of a given setting. This added to the romance of American herbalism during this very early stage in United State botanical history. It was very typical for heroic methods to be engaged in, in which a physician or well-spoken individual learned in writing tried and then published his/her discoveries of tradition or new, “antient” or modern herbal remedies. The American medical journals for this time are ridden with brief news on new chemical and physiological tests being applied to locally grown remedies. Physicians tried laying claims to their discoveries. There were even a whole slough of writers who laid claim to another writer’s or herbalists discoveries. William Withering laid claim to the discovery of the value of foxglove, even though this was traditional knowledge passed down for a generation or two for some midwife herbalists. A number of alternative medicine Thomsonian (Elias Smith’s edition of Thomsonianism, western NY, ca. 1815-20) and eclectic herbalists (Wooster Beach’s 3 vol set) tried to lay claim to their discovery that plantain was good for cancer due to the way a toad in the field used it to treat a spider bait–a story that was penned in the 1600s by Erasmus and was meant to serve as a lesson to its readers that was not at all related to healing practices. At times, the allopaths were the last doctors to discover or rediscover the local herbs, due mainly to their focus on chemicals and in many cases purified herbal substances (quinine, laudanum) and the more toxic metal or mineral remedies (esp. calomel, but also copper and iron salts, etc). 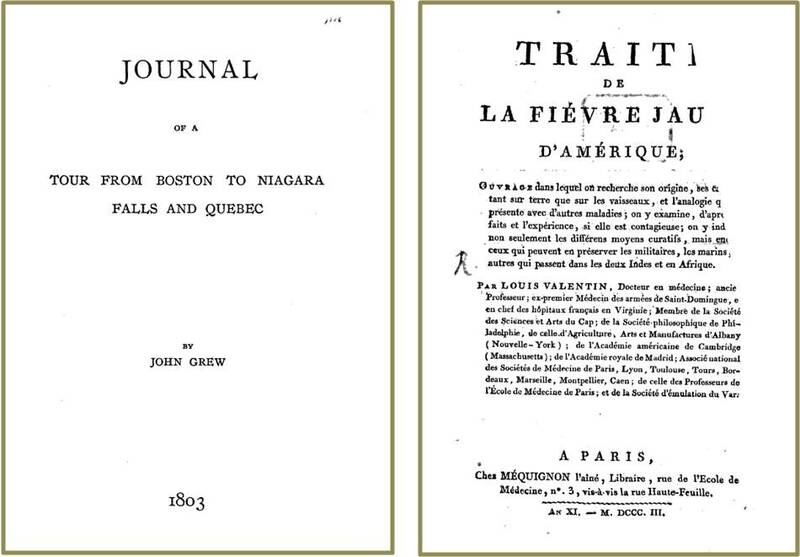 Belief in the unhealthy living practices of both the people and the country of the United States were noted by such European geography, topography writers as Volney and Valentin (for more, see the following; Grew provides insights into early geographical medical interpretations, Valentin (in French) produced a work that appears very much like a study of American health and disease regionalism).